With the update of Rising Waters, Mushin’s Tower becomes a popular dungeon in Blade and Soul, which is a little difficult if you don’t upgrade your weapon and soul shield. 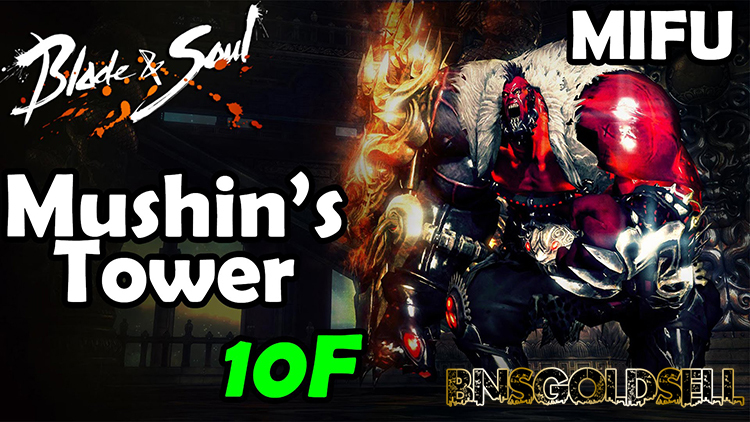 This guide is to explain how to complete Mushn’s Tower from Floor 9-15 and give a few tips on the way. Also, you can buy cheap Blade and Soul gold to make your journey smoothly. BNSGoldSell is professional to provide cheap Blade and Soul gold with fast delivery and 100% safe transaction! 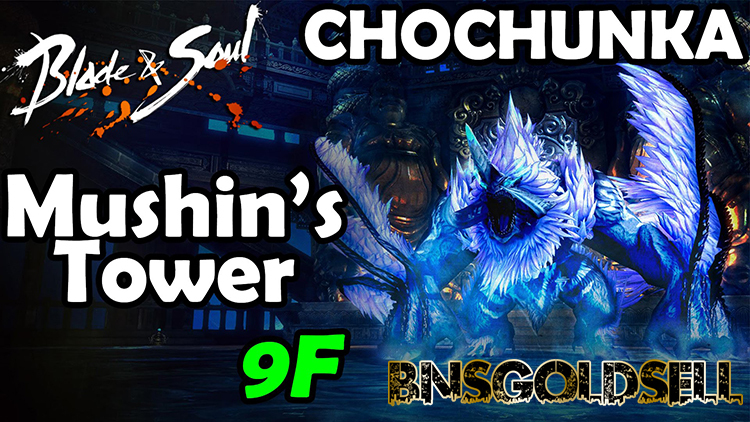 Floor 9: The main task in this floor is to kill the boss - Chochunka. He will be released from inside the Corruption Orb. If you completing killing it, you can go to the next Floor 10. There is a red rectangle attack range in which it needs 300-level damages. Before continuous releasing output, you can use Evade and Blindside. Then, the Chochunka will use Spin Attack to trigger 330000 damages and a repelling effect. To bock the first two damages, you can use Block and Cyclone to hand the third attack. When it uses Cold Air, the attack range can cause 1000 damages. You can use Five Point Strike to avoid this attack. When it uses Wing Flutter, he will fly up into the sky and produces a semicircle attack range on the ground which nearly causes 310000 damages. You should use Block to avoid this attack, when it goes back to the middle of the map, you can use powerful skills to stop him from higher damage. Floor 10: You have to release Mifu from the curse of his tainted gauntlet. You need to stand close to Mifu and break crates before he does each AoE. Breaking the crates gives you 5 seconds of immunity to the AoE. Floor 11: There are Pal Haemo and the Dokkaebi King to kill in this floor. You need to defeat him and be careful since he has a wager with the Sages. After killing him, you can enter the Floor 12. When it spawns, you should pick up the weapon from the rack and then you smash the 3 gourds. Floor 12: With the help of Golden training dummies, you protect the Essence of Empress Sama from Pytheon & his minions. You just defend the crystal in the middle and fight Naga King at the end. 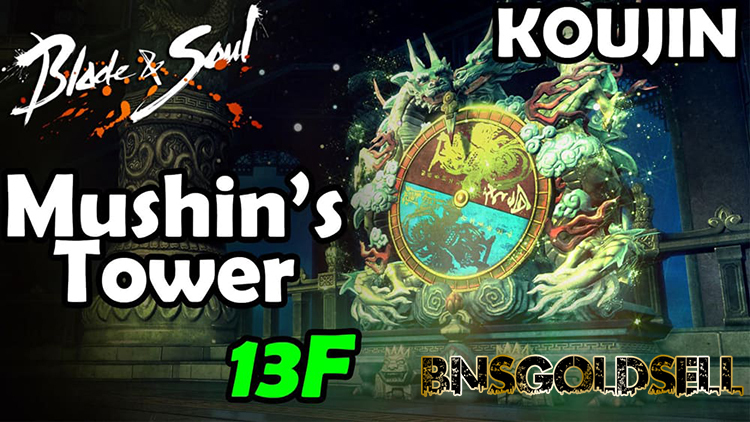 Floor 13: You can call up either Koujin or Sekjin from the Prize Wheel with your advanced training starts. You get either Sekjin or Koujin, nothing in particular here. Floor 14: You test your mettle against the Naryu Automaton creation Ironheart. You should fight until he fires missiles and you run away. Don’t get the fire close to him. After three missiles, he will start rolling. Keep blocking his rolls except you were ranged. When he spawn a static field, attack once with a ranged attack. You must kill its orb, throw the orb at the boss, and then kill the 3 trash mods around him. Floor 15: To complete this floor, you should train you to Grand Master level. And you need to steel yourself for the final battle with Naksun. You can use lightning strike, and explode bomb in the battle with Naksun. 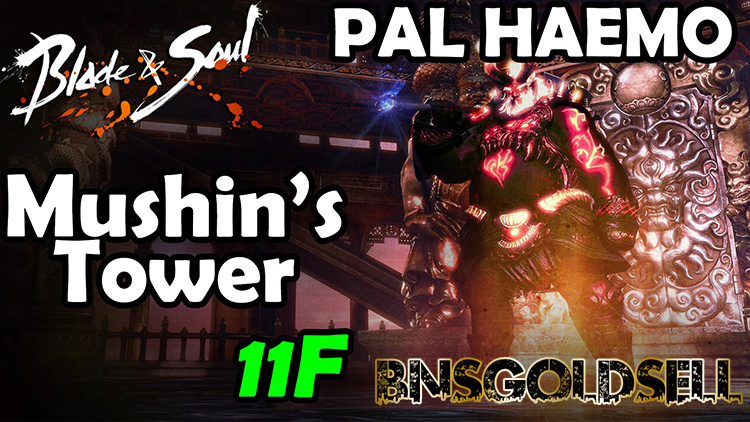 Hope this guide can be helpful for you complete Mushin’s Tower. Last but not the least, you can enjoy discount in this May at BNSGoldSEll.com! When ordering Blade and Soul gold in our site, input ‘may01’ in Coupon Code blank and click the ‘gift ’ icon to get the discount! We promise to provide the best service and fast delivery!